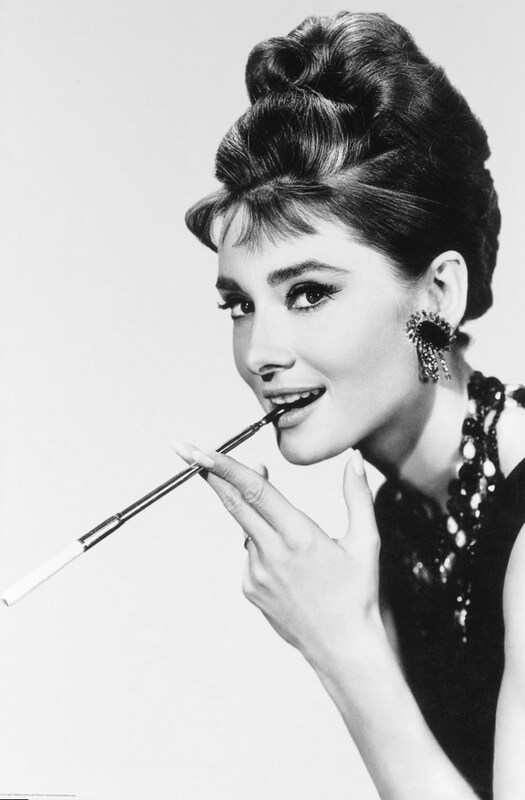 Audrey Hepburn is an icon of style in the 20th century. She is considered to have the most natural beauty of all time. In her youth she took up ballet and performed in the theater. Her attraction was added by the great level of intelligence as she spoke several foreign languages. She was the first actress, who has won an Academy Award, a BAFTA Award and a Golden Globe for the same performance. Apart from acting she used to contribute to UNICEF helping poor people of Africa, Asia and South America. She was born on May 4th 1929 in Belgium, her father was a banker while her mother was a real Dutch baroness. When she was five years old, Audrey attended a boarding school of England, but much of her childhood she spent in occupied by Nazi Holland. She managed to survive eating tulip bulbs, so later there was a breed of tulip which was named after her in 1990. Being a fragile woman she was very courageous as during the war, she worked for the Resistance as a secret messenger carrying some illegal leaflets in socks! 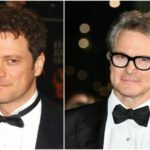 Another interesting aspect of her biography is that she was a distant cousin of Princess Diana, the most elegant woman and the example of style. 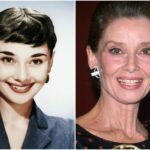 So Audrey has never followed behind her. Her natural beauty has always been emphasized with wonderful aesthetic looks and outfits. 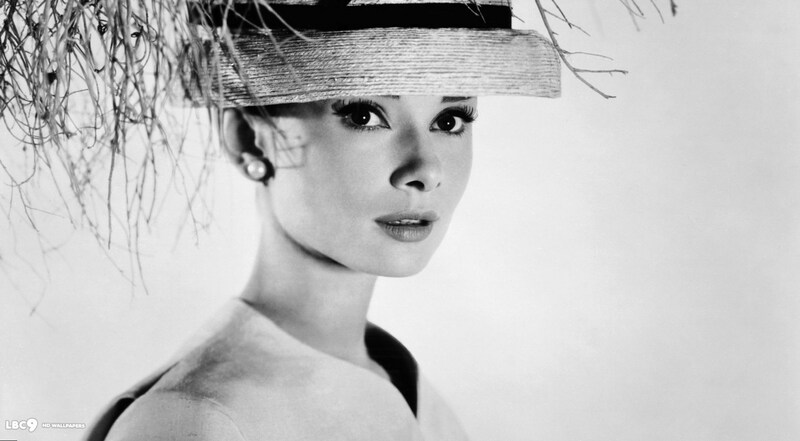 Generally, Hepburn wore always neutral colors, including black, beige, and white, rarely pink. She focused on one color to show her great, slim figure. Her chic wardrobe was filled with ballet pumps, narrow black trousers and little dresses. 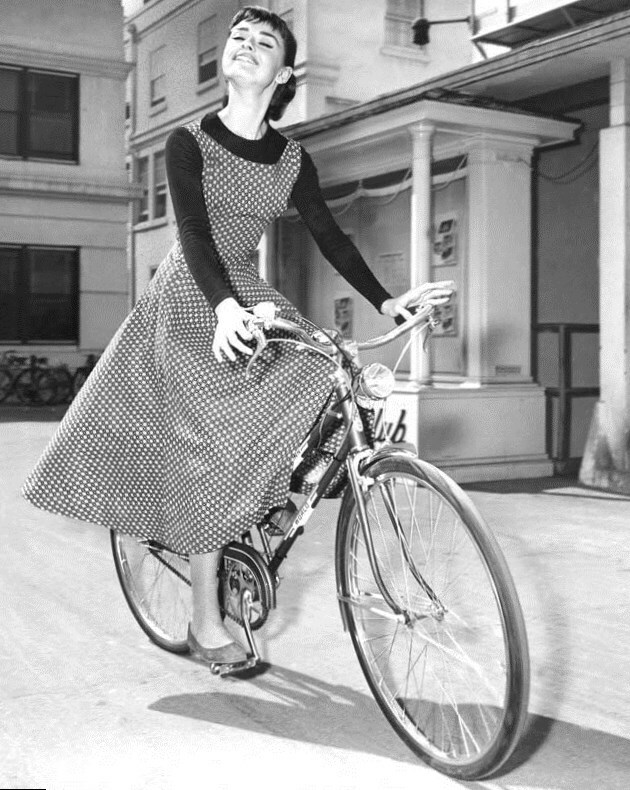 She used to wear black polo necks, full skirts being gathered at the waist, simple raincoats. She always looked like a girl having a natural sense and passion for fashion. Modern designers try to revive her combinations of trousers and shiny loafers, tailored suits, boxy jackets and calf-length skirts. 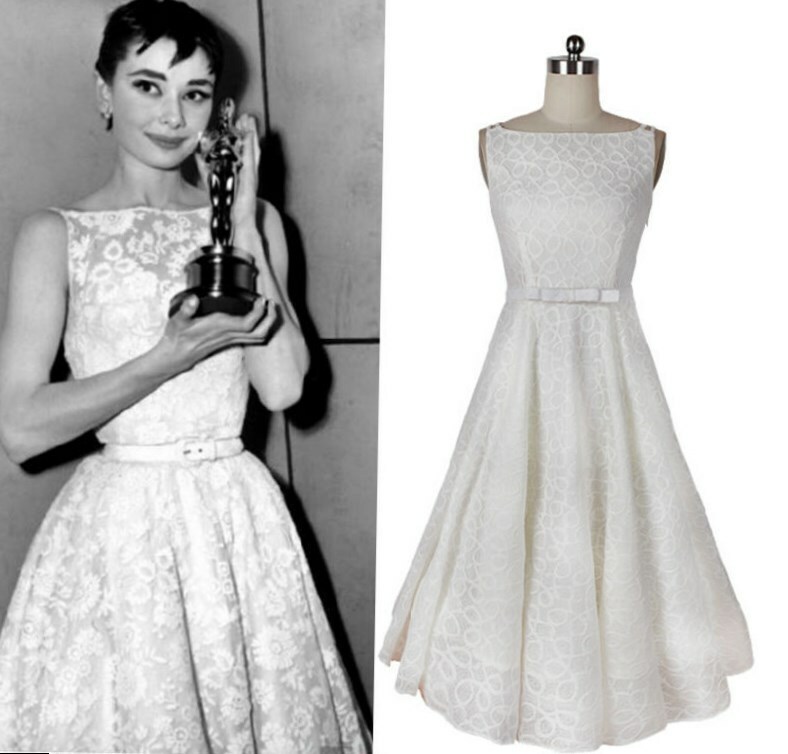 For her film Sabrina she was dressed by a well-known designer Hubert de Givenchy. He appreciated her tiny size 8 and suggested her clinging evening dresses. Her appearance was so breathtaking that she became one of the top stars. 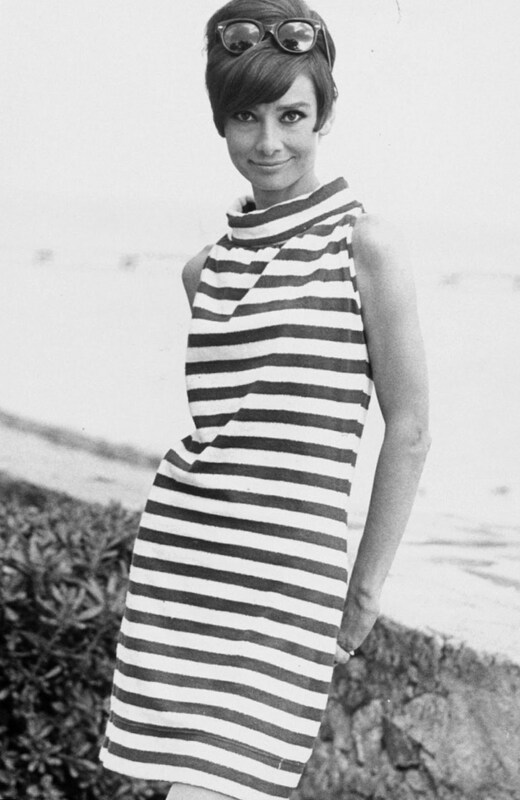 One of her bare-shouldered dresses was so famous that became copied all over the world. Another piece of clothing, which became the most popular summer item after film was capri pants, which were worn with a simple top and a hat. 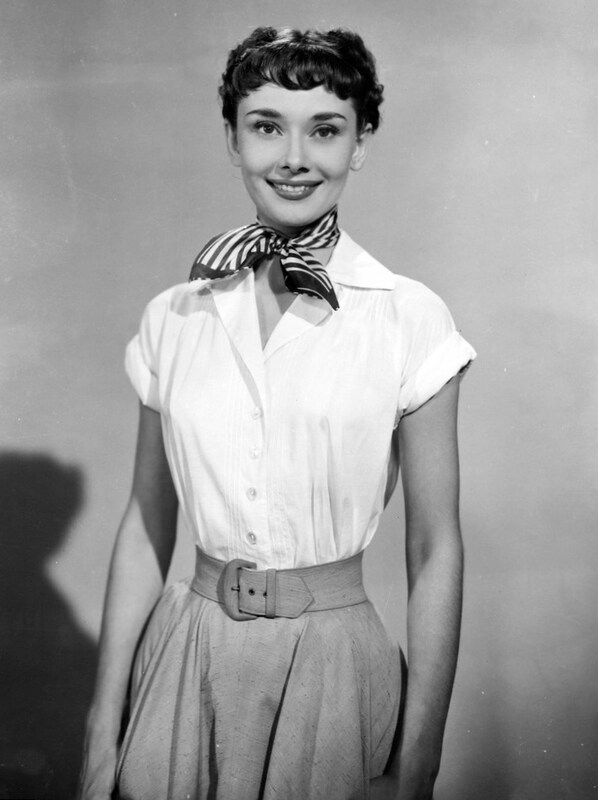 The film Roman Holiday proved her to be one of the most fashionable women in the world. 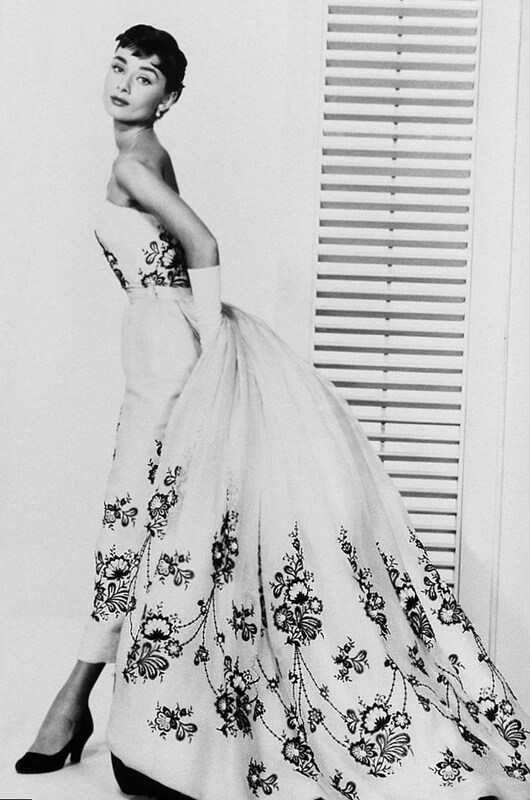 The costumes were created by a Hollywood designer Edith Head. He offered her flat shoes, wide belts, cotton skirts gathered at the waist and plain blouses with rolled up sleeves. And his and her efforts resulted in Oscar winning. 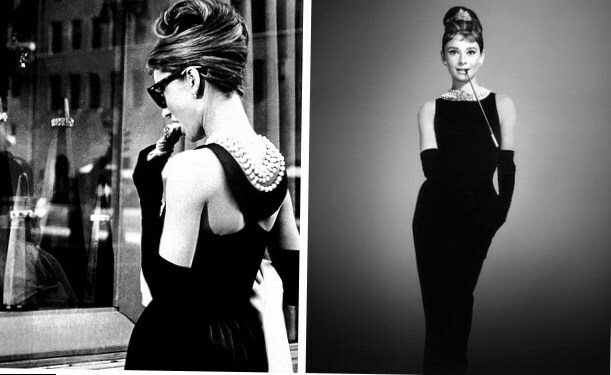 Audrey made popular the LBD (a little black dress) wearing one in film Breakfast at Tiffany’s and it was accompanied by elegant white gloves and shiny pearls. Other more important accessories were sunglasses seen on her very often. If to speak about shoes, except for loafers, she wore black or brown heels of high quality, with round or pointed toes. 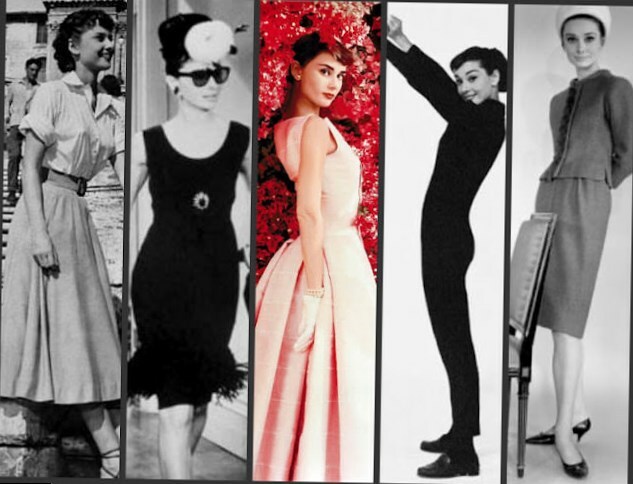 But no matter, what she was wearing, her ability to carry herself was incomparable, and she could look graceful and fabulous.